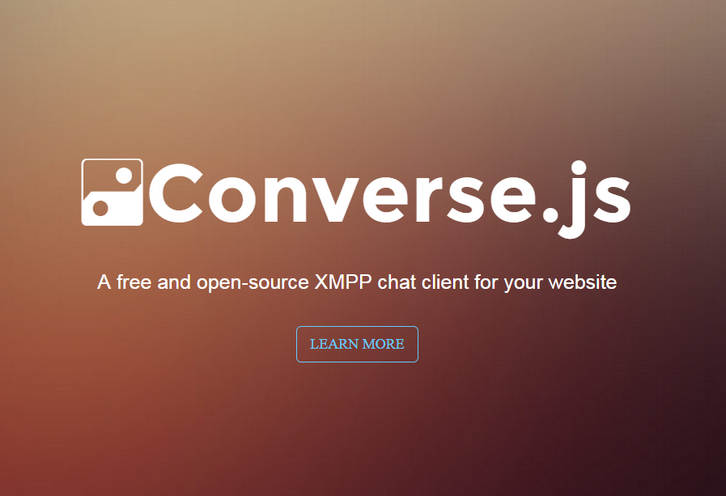 Converse.js is a free and open source chat client that runs in your browser. It can be integrated into any website. 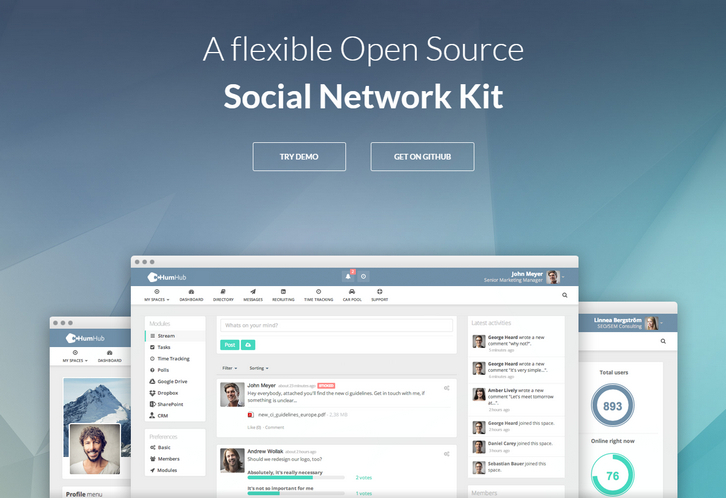 Similar to Facebook chat but it also supports multi-user chatrooms. Converse.js can connect to any accessible XMPP/Jabber server, either from a public provider such as jabber.org, or one you have set up yourself. It’s possible to enable single-site-login, whereby users already authenticated in your website will also automatically be logged in on the chat server. Looking to do something different with your photos? How about converting them into beautiful watercolor paintings? Or making your best friend into a cartoon? With these 4 Photoshop Actions to Convert Photos to Painted Art, you can do it all with ease. There’s no need to worry about not understanding how to use any of these actions either. That’s because they all come with access to a robust knowledge base full of loads of detailed information on how to best use each one. This Mighty Deal from OzonoStudio features 4 incredible Photoshop actions to turn your average images into artistic masterpieces. 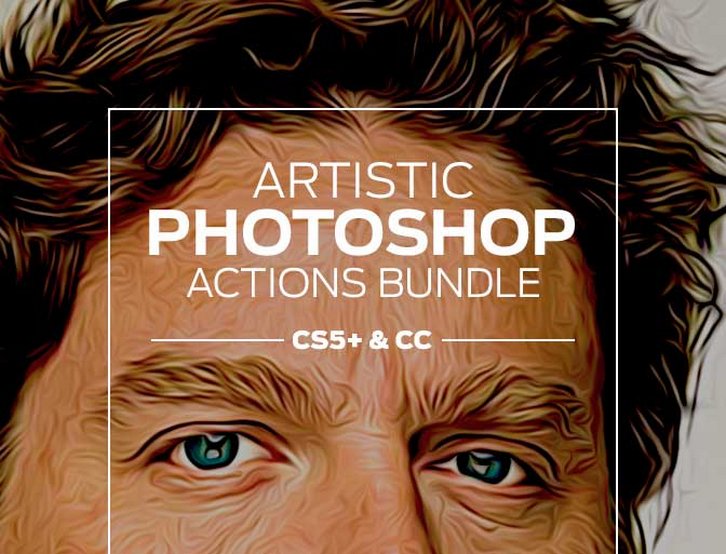 This collection of Photoshop actions normally sells for $24, but for a limited time only, you can get all 4 amazing actions for just $12! That’s a 50% savings off the regular price. Leverages cutting edge browser APIs including WebRTC, FileSystem, Video, Canvas, Web Workers, Typed Arrays, and Base 64 Encoding to support over 20 options. 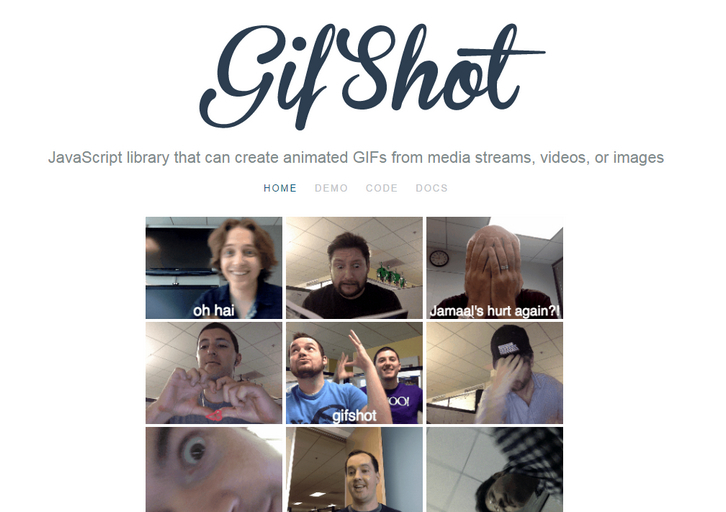 By harnessing the power of web workers, you get fast GIF creation that doesn’t block the UI. An image quantization algorithm is also used to reduce the number of colors required to represent the image. Many, many people use WordPress to build websites and blogs. If you’re one of them, here’s a chance to win a stunning design for your WordPress site. We have 5 Premium WordPress themes to give away to you folks, courtesy of TemplateMonster. Btw, this is the second giveaway we’re hosting together with TemplateMonster, and it seems you liked the first one. Here’s everything you need to know about the giveaway. 2. Then come back to this post and comment with the theme ID. Your comment can be as simple as “I like WP theme #51367“? For those who may not be familiar with everything TemplateMonster has to offer, here’s a quick look at the company: TM is a US-based web design company which specializes in WordPress themes and other types of website templates (HTML5 templates, templates for the fans of Joomla, etc). 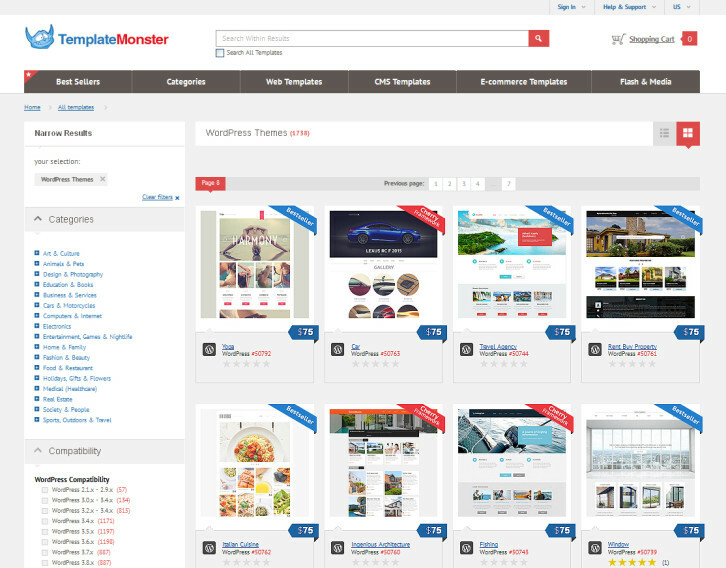 The guys at TemplateMonster have built more than 40,000 templates since 2002, among them are 2,000+ WordPress themes. Nevertheless, it won’t take you long to find the WP theme you want to win. The point is you can search themes by category (Art & Photography, Business, Hosting, Fashion, Real Estate, Travel, etc), style or keyword. You can also choose to see responsive WordPress themes only. 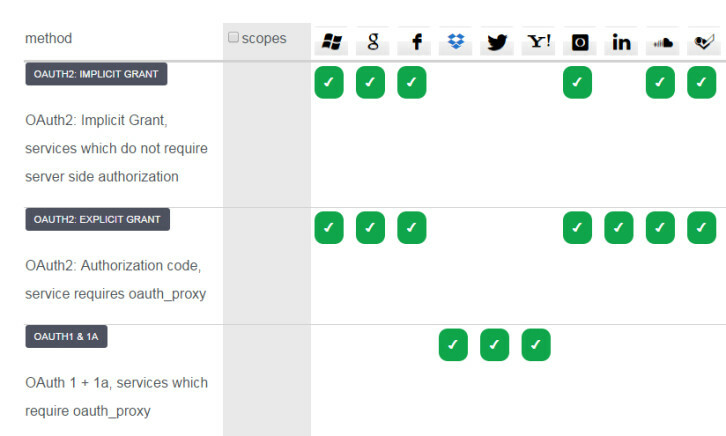 Finally, you can filter themes depending on the WordPress version you’re using. The giveaway starts today and will be running through Tuesday, October 6, 2014. Enter for a chance to win one of five WordPress Themes from TemplateMonster! Midnight.js is a jQuery plugin that switches between multiple header designs as you scroll, so you always have a header that looks great with the content below it. 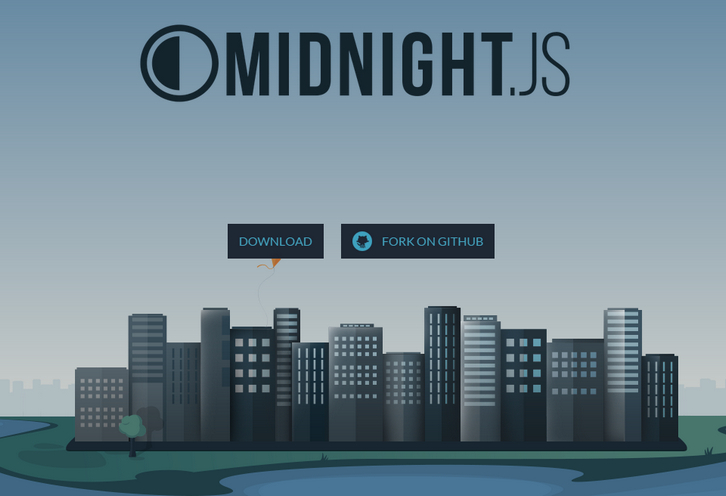 Midnight.js lets you switch fixed headers on the fly. On iOS <7 and older Android devices scrollTop isn't updated fluently, which creates a choppy effect. It can be fixed somewhat by wrapping the body in container and detecting touch events. Baptiste Briel is a 20 years old front end developer & designer from Nantes, France. He has created a set of Ready to use SVG icons for the web. All those icons are from free Dribbble ressources with the original link so you could download them. Simply click on the icon, and then you can copy & paste the HTML code. Pictura is a Photoshop plugin to instantly find and apply any image on Flickr directly in Photoshop. No more distractions or manual image downloads. 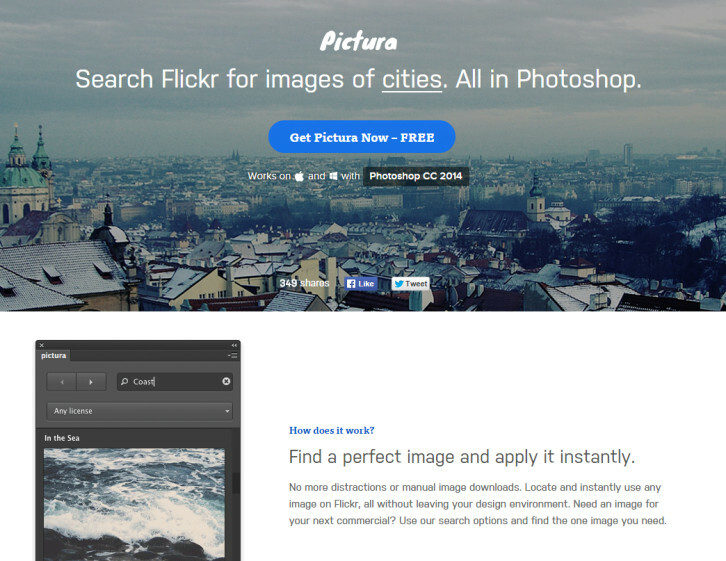 Locate and instantly use any image on Flickr, all without leaving your design environment. Looking for images without copyrights? You can use the filter to view images that you can use for free even commercially.